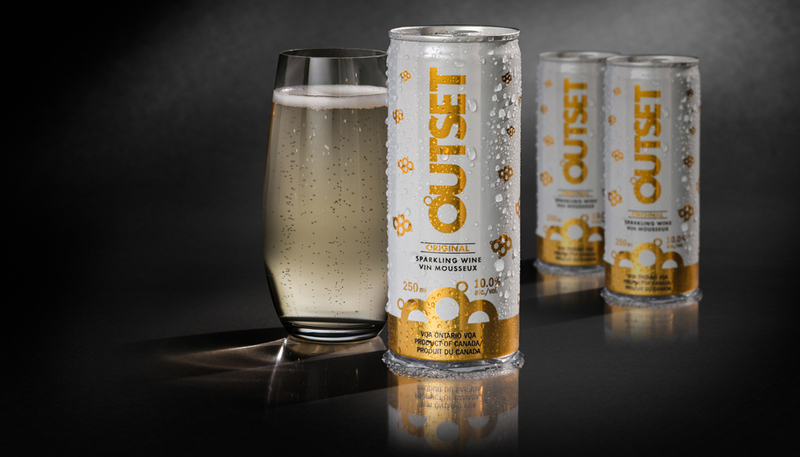 Introducing Outset… New name, same swagger. If you’re perusing the shelves at your local LCBO store this summer, you will note that we’ve evolved our name and our look. Not to worry though, inside it’s the same inimitable and delicious sparkling wine in a can Canada—and now China—has come to love. Our new name, Outset, perfectly captures our collective state of mind when we set out to pioneer new and creative winecraft of uncompromising quality. It reflects the courage and resolve we share as we continue our story of innovation and of challenging the dogma of traditional viticulture with wines that exceed expectations while turning established truths on their heads. The past year has brought much evolution, with Outset outperforming even our own expectations, taking Best in Class in the sparkling category at the 2018 Finger Lakes International Wine Competition and a Silver medal in the tank fermented sparkling category at the 2018 International Wine and Spirits Competition (IWSC). Pour Absinthe into flute. Add cold Outset slowly until the signature milky cloud forms, then serve.